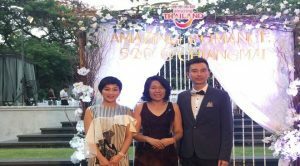 The Tourism Authority of Thailand (TAT) is hosting honeymoon trips for six celebrity couples from China under the 4th Romance in Thailand project. Taking place from 17 to 23 May, the hosted couples have been enjoying a range of Northern Thai experiences packaged to promote romantic activities and attractions in Chiang Mai and boost the province’s standing as a preferred honeymoon destination. Under the theme, “Amazing Romance in Thailand 5.20 @ Chiang Mai”, the six loving couples have been experiencing a range of local activities in different areas of Chiang Mai. These include spa treatments, afternoon tea, merit-making in local temples, elephant bathing, and Thai cooking lessons. Members of the Chinese media were also invited along, meaning that all activities undertaken by the celebrity couples would be reported via online and offline publications as well as shared via social media channels, showcasing some of the many activities Chiang Mai offers to couples. The “Amazing Romance in Thailand 5.20 @ Chiang Mai”, is so called, to mark 20 May, which is celebrated as the day of love in China. This tradition comes from the fact that the pronunciation for the date 5.20 (the fifth month and 20th day) sounds like the Chinese pronunciation of “I love you.” So on 20 May the couples came together for a romantic Lanna Dinner at the 137 Pillars House Hotel Chiang Mai, where they dressed in Northern Thai costume and sample authentic local dishes. The activity is jointly arranged by the TAT offices in Beijing, Shanghai, Guangzhou, Kunming and Chengdu. In 2017, TAT expects Thailand to welcome at least nine million visitors from China and generate some 570 billion Baht for the Thai tourism industry. Of these, TAT anticipates about 2,000 honeymoon couples with an average trip expenditure of around 80,000 Baht or approximately 200 million Baht in total.